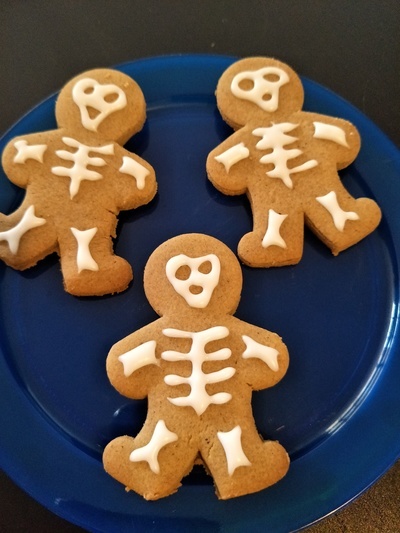 These cute skeleton gingerbread men are just the thing for Halloween. 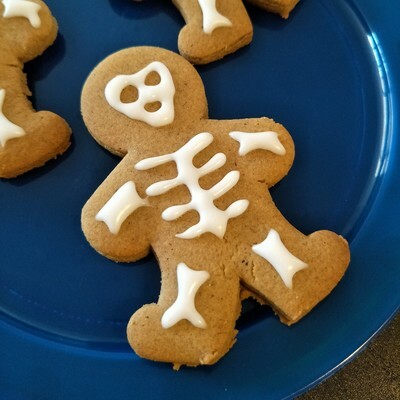 Younger children will have fun making the gingerbread men for these Halloween Cookies while older children can try their hand at icing them with skeletons. Gingerbread Men. If you don't already have a favorite recipe then you can use the My Kid Craft article on making gingerbread men. 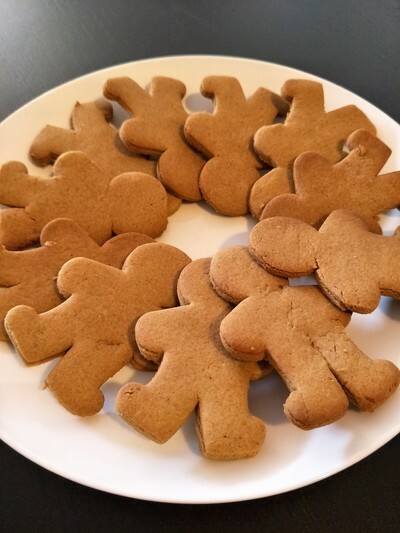 Make up a batch of Gingerbread Men and allow them to cool. 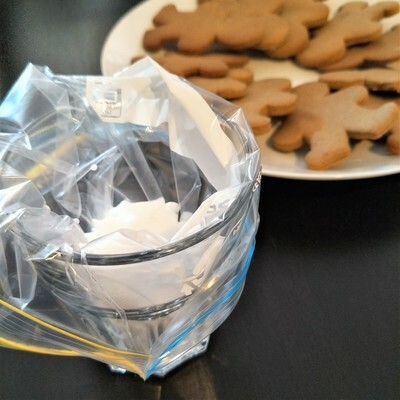 Open a zip-lock bag up over a cup and transfer the icing into it. 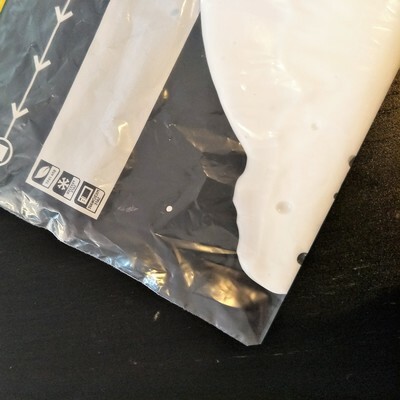 Snip off a bottom corner of the zip-lock bag as shown in the photo below. You now have a disposable icing bag. 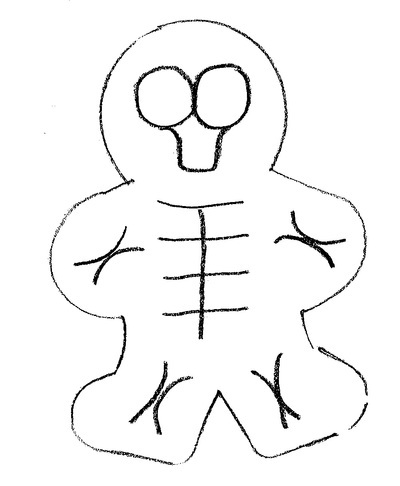 Decorate the Gingerbread Men according to the drawing below. The icing will spread as you decorate so be sure to make the eyes and mouth nice and big so they wont be filled in by the spreading icing. Allow the icing to dry and have a spookylicious Halloween! Hint: The icing partially solidifies - so don't stack the Gingerbread Men or you will damage the icing.